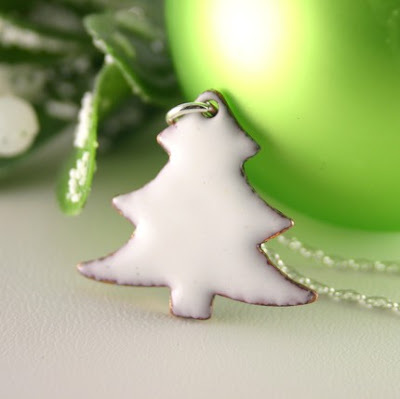 I'm dreaming of finding this pretty white enameled tree under my tree this Christmas: Made by VerreEncore, this necklace is sweet and simple. I'd wear it all winter, as well as in the summer as a cool reminder of the peace and joy of the holiday season. This is SUPER cute, Ulixis. Festive but not at all cliché! I'd wear it too, and maybe lick it at least once, just to make sure that it's not icing on there... ha ha!